Our life-supporting products are earth, kid, & animal friendly! Makes Economical 25 Gallons of Complete Organic, Ready-To-Use Plant Nutrient Good For The ENTIRE GROWING SEASON. Makes Economical 100 Gallons of Complete Organic, Ready-To-Use Plant Nutrient Perfect For Somewhat Larger Needs. Makes Economical 500 Gallons of Complete Organic, Ready-To-Use Plant Nutrient Necessary For A Farmer, Landscaper Or Developer. Order Turboganic My Garden® right now. If it isn’t EVERYTHING I said it was – AND MORE – send me back the bottle. I’ll refund every single penny – including the original shipping! Just return the empty container within 1 YEAR and we will refund your entire purchase price. No hassles. No Quibbles. No Problems. (This applies to first time customers only). 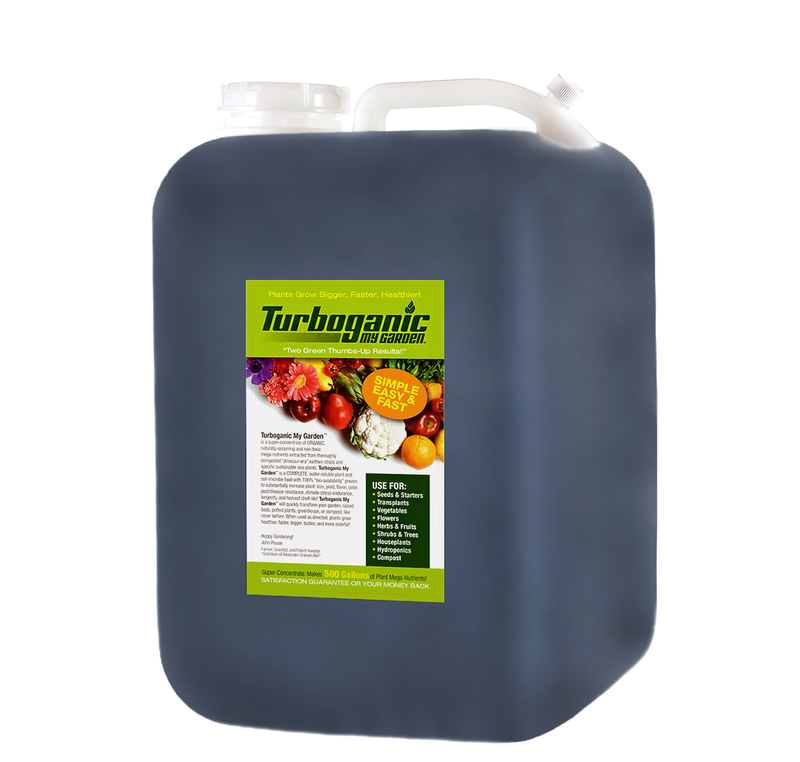 Turboganic My Garden® delivers on its promises, regardless of the disappointments you’ve had with other products. Skeptical gardeners who have verified the results of using Turboganic My Garden® now swear by it.